So your life got crazy and somehow you find yourself backed into a corner and the new carpet needs to be on the floor in 2 weeks. Can we do it? 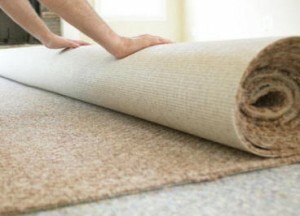 All of our carpet is bought directly from the carpet mills which are all located in Georgia. A truck comes up to New York as soon as a trailer is loaded. We average about 7-10 days for delivery, with an additional few days to get on our carpet or flooring installation schedule. If timing is a concern, please inform us during the purchase process. Floor Source Inc. will double check color selections before ordering your carpet or flooring to ensure your color doesn’t need to be produced at the mill creating a lengthy backorder production date. Of course it helps if you have taken the time to remove the furniture and any items from the rooms we are installing the flooring in. If you need help clearing the space we will gladly schedule additional time in preparation to complete your install.